How do people know YOU are the Avon Lady? Do you enjoy being and Avon Lady? Are you wanting to expand your business? Those questions are probably pretty easy, but this one may be a little more difficult. How do people know that YOU are the Avon Lady? When you meet someone new, how do they find out that you can provide them with Avon service? 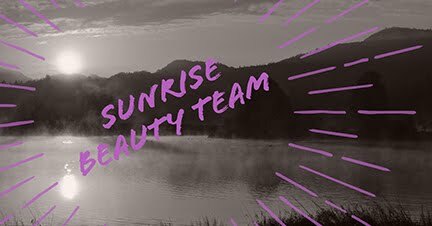 Throughout your daily routine you have many opportunities to connect with people who are interested in Avon products but sometimes we can't work Avon into the conversation, and sometimes we don't have the chance to start a conversation at all. What can you do to increase the chances that you will make those connections. When you are out and about running errands, wear an Avon name badge, logo shirt or pin. That way anyone you talk to can see that you are an Avon representative and start the conversation for you. You can also let people know you are with Avon by having signs or decals on your on your vehicle, or carrying a bag with Avon on it. Anything that says Avon can catch the eye of someone looking for a representative or get them asking questions that can give you the chance to talk about your business. Of course you can also get people's attention and start a conversation by wearing Avon's clothing, jewelry and accessories. Often you'll get compliments on the items you are wearing, and it's easy to turn the conversation to Avon from there. Do you have a page set up for your Avon business on social media sites like Facebook and Twitter or a board on Pinterest? You can add links to all of your social media pages on your personal Avon website. Click on "edit website/upload photo" in your web office. clilck edit on the banner at the top of the main page (next to your picture) and click on the social media icons. enter the details for whichever sites you want to link to and the appropriate icons will be added to your personal webpage so your customer can click right on through to connect with you on their favorite social media site.